Just move in! 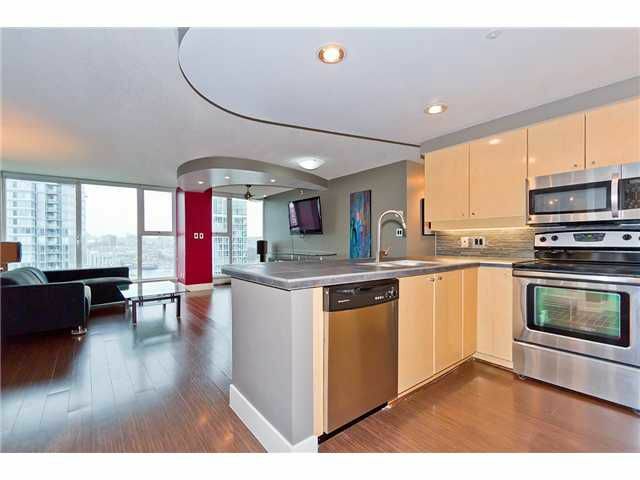 Beautifully remodeled S facing suite with sweeping water views of False Creek from all principal rooms. The kitchen has been modernized with stainless & granite. 2 full bathroom including an ensuite with a beautiful vesselsink & designer faucet. New laundry, paint, doors, sinks & flooring (bamboo style laminate & slate). Generous sized bedrooms. A large insuite storage room perfect for a home office. Well designed concrete building by Concord Pacific with enviable amenities including an indoor pool, fitness centre, billiards, squash court, 24 hr concierge. Premier Yaletown location!